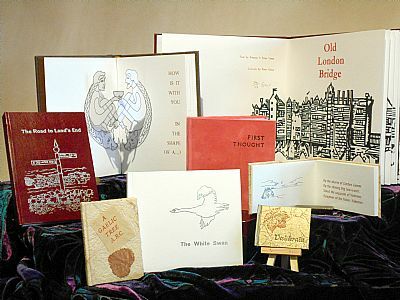 Letterpress printed Books, Handmade in the UK. Soth Shore, Gateshead, Tyne and Wear. 11 to 6 Admission free. Scotia Crafters Exhibition in The Art Gallery, Market Hill, Castle Douglas, Dumfries and Galloway. Daily except Sundays 10 to 4. Admission Free.